In the UK, the retail sector contributed around £194 billion to the national economy – roughly 11% of the country’s total output. It is the largest private sector employer in the country, employing approximately 4.9 million people and generating £406 billion in sales in 2017. The notable size of the retail sector means that it’s diverse, encompassing a wide range of businesses and different economic interests. Consequently, work in the retail sector is varied and the risks associated with such work are numerous, too. One retailer may have an entirely different set of Health and Safety concerns to another, simply because the industry is so large. Consequently, retail Health and Safety is a complex issue. Here, we take an in-depth look at what retailers have to do to meet their Health and Safety obligations. Despite the varied nature of work (and its associated risks) in the retail sector, there are many Health and Safety risks that are found in all retail workplaces. Here, we take a look at six of the most common types of risk and examine why they’re an issue for retailers in particular. 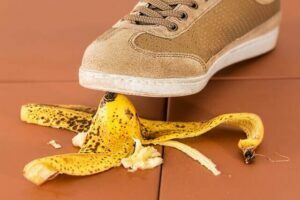 Though slips and trips may not seem like the most dramatic of Health and Safety concerns, they can cause serious injury and lead to major health complications. Every year, approximately 11,000 workers are involved in a slip or trip that results in serious injury. This makes it one of the most common causes of injury in the workplace. Slips and trips are a Health and Safety hazard in all types of workplace. However, they’re of particular relevance to retailers who stock large quantities of liquid, such as supermarkets, as well as those who receive a high volume of foot traffic. Generally, slippery floors caused by leaks or spillages pose the most danger but retailers also need to be aware of uneven floors, damaged flooring, and other trip hazards. Though it may seem as though more Health and Safety resources are dedicated to teaching employees to lift and handle goods than any other H&S concern, manual handling injuries are still surprisingly widespread. Around 1 million working days are lost due to handling injuries every year. This costs businesses and the economy a considerable amount. Though manual handling is nearly always covered in basic training, retailers need to ensure that employees are carrying out safe lifting and handling practices on the job. 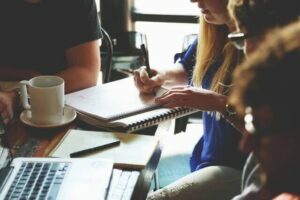 This means ensuring that employees fully comprehend the dangers associated with poor handling technique and calling them up on their mistakes while working. Unlike the heavy industries, the retail sector relies on relatively few large-scale machines to carry out day-to-day business. One of the major exceptions to this rule is the warehouse environment. Here, forklifts and other types of heavy machinery are used to load, unload, move, and organise goods within the warehouse. Though a relatively low percentage of retail employees are exposed to heavy machinery on a regular basis, those who are run the risk of much more severe injuries. While slips and trips can lead to serious injury, one mistake with a piece of heavy machinery can prove fatal. It’s also important to note that Health and Safety isn’t always concerned with minimising the opportunity for human error. It’s also necessary to ensure machinery is well maintained and unlikely to malfunction in a way that could result in injury. On average, there are 1500 forklift accidents every year. A high percentage of these are due to poorly maintained vehicles and could have been easily avoided. Retail often involves the movement and storage of goods in difficult to reach areas. To help perform their work, employees utilise equipment that allows them to reach these spaces. Ladders are the most common piece of equipment used to achieve this. Using ladders poses a unique set of risks that need to be mitigated and protected against. Falling from a height can cause serious injury and retailers need to ensure that they’ve trained their employees in safe-ladder use. Ladders need to be checked for defects, the area they’re deployed in must be free of obstacles or unsafe surfaces, and they need to be securely positioned. In some cases, a colleague’s assistance will be required. Retailers often stock goods of considerable value or retain large amounts of money on the premises. This makes them an appealing target for criminal elements who want to enrich themselves at the expense of the retailer. Retailers are most vulnerable when there is only a single worker on shift and they have no one else to rely on. Lone workers can be threatened with violence or intimidated in other ways, many of which have the potential to cause long-term psychological, emotional, or physical harm. This means that retailers have to take special precautions to ensure the safety of their lone workers and minimise the risks they’re exposed to. This could involve providing them with special technology that allows them to report incidents and request help, providing them with a “safe area” that’s only accessible by staff, or requiring them to check in with a supervisor on a regular basis. Though fire is a problem in all work environments, it’s particularly problematic for retailers due to the large volume of foot traffic that typically passes through their doors. 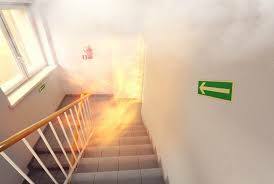 Adequate fire protection and evacuation procedures need to be put in place to ensure that staff and customers are warned early enough if a fire does break out and that they’re able to leave in a quick, efficient and safe manner. For the most part, this means signposting emergency exits in a clear manner, providing staff with training in how to respond to fire alarms, and ensuring sufficient fire-prevention technology is in place around the property. What are a retailer’s responsibilities? Like all other types of business, retailers have a responsibility to their employees and must consider their Health and Safety, as well as that of all other individuals who enter the property. This includes customers, volunteers, contractors, and business partners. Legally, retailers are responsible for taking all practicable precautions against “reasonably foreseeable” risks. This means that all retailers need to consciously consider what risks exist in the workplace and move to limit employee and visitor exposure to these risks. However, it’s important to remember that employers are only responsible for taking precautions against “reasonably foreseeable” risks – they are not responsible for every accident that occurs on the property, only those that could have been predicted and prevented. All retailers need to appoint someone with relevant skills and expertise to meet their Health and Safety responsibilities. In many cases, businesses will bring in outside help in order to do this. This is particularly true of large organisations, where there are a high number of potential risks or where the work is particularly dangerous. However, if you operate a smaller business or operate in a retail environment that’s low-risk, it may be possible to appoint an in-house Health and Safety representative. This could be the owner or manager of the business or simply another member of staff with the necessary training. Appointing a representative ensures that responsibility is attributed to a single individual and that Health and Safety matters aren’t ignored or mismanaged due to a lack of communication or confusion as to who should be taking the lead. A Health and Safety policy ensures your employees, customers, and visitors understand that you’ve carefully considered the risks inherent in the retail environment and have made reasonable attempts to mitigate those risks. The policy should detail who the Health and Safety representative is and what they are responsible for. It should also contain a schedule that includes information as to when certain tasks should be carried out. For instance, a Health and Safety policy may contain information as to who is responsible for overseeing an evacuation in the event of a fire alarm and what tasks they have to perform in order to prepare for it. This may include ensuring that all fire exits are clearly marked, fire alarms are routinely tested, and all equipment is in good working order. Retailers can draft their own Health and Safety policy relatively easily. However, larger retailers may need outside assistance if they’re to create a truly comprehensive document. A specialist in Health and Safety in retail will have plenty of experience creating policy documents and will ensure that nothing is missed. An example of a relatively simple policy document can be found on the government’s Health and Safety Executive website. It is also worth noting that any business with less than five employees doesn’t need to commit their policy to paper. In order to manage and mitigate against risks in the workplace, they first need to be identified. This is achieved by conducting a risk assessment. A risk assessment attempts to identify all risks in the workplace to ensure that you’re adequately protecting those who work on or visit the site. There are numerous ways to do this but one of the simplest is by methodically moving around the workplace looking for potential hazards. Retailers need to consider what harm can come of each potential risk, what the likelihood of harm occurring is, and how the risk can be controlled. The law does not require employers to eradicate risks, only to implement reasonable controls to manage these risks. It’s important to identify those risks that pose the most danger and work to minimise the threat. All risks should have measures put in place to prevent injury or harm occurring. One of the most effective ways of identifying risks is consulting employees and any relevant employee organisations, such as a trade union. Being closest to the action, employees often have the clearest insight into how the workplace operates and what hazards it contains. They’re usually best placed to provide retailers with useful Health and Safety information and to propose ways in which risks can be controlled. Likewise, trade union organisations are well versed in Health and Safety and will be able to help employers carry out comprehensive risk assessments, draft policy documents, and mitigate risks. Many union organisations train a Health and Safety specialist who will be more than willing to contribute to the process. Finally, retailers need to provide their staff with high-quality Health and Safety training. The training needs to cover topics that are relevant to the particular work environment in which employees operate, so should be based upon the findings of the risk assessment. Education plays an important role in preventing accidents and injuries and is one of the most powerful tools employers can use to ensure the safety of workers, customers, and visitors. Likewise, it’s necessary to ensure that employees have access to adequate facilities. This includes those general facilities required by all employees, no matter what industry they work in (such as toilets, drinking water, and a rest/break room), as well as industry-specific facilities. These may include things like a well-ventilated workspace, suitable workstations, and ordered equipment storage space. These facilities also need to be maintained. Access routes should be kept clear and uncluttered, equipment regularly checked, and the space cleaned as and when is necessary. Though Health and Safety procedures are often portrayed as unnecessary bureaucracy, nothing could be further from the truth. They are an essential part of a safe working environment and can help prevent serious injury and harm to employees and other individuals. While many businesses will be able to carry out the required Health and Safety checks on their own, employing the services of a retail Health and Safety specialist is often necessary. Due to their extensive experience, they know exactly what to look for and will be able to help retailers protect the Health and Safety of all those they maintain a responsibility towards. What Support Can Wirehouse Offer SMEs?